We are back with the latest set of TRP ratings. Week 50 has seen quite a few changes in the ranking of top channels and shows. Colors channel is enjoying a great show and continues to be the number one channel in the current week. Star Plus has overtaken Zee Tv to secure the second spot pushing the latter to number three. Star Bharat has retained the number four position in week 50. Sony Entertainment has replaced Sony SAB to take the fifth spot pushing the latter to number six. It's Christmas time, so we thought of doing something different. Without much ado, let’s have a look at the top ten shows in week 50. Despite being a newbie, Tu Aashiqui has managed to secure a place in the hearts of viewers. The show which stars Jannat Zubair Rahmani and Ritvik Arora in the lead roles as taken the tenth spot in week 50. Audience are simply loving the show and the cute chemistry between Jannat and Ritvik. It wouldn't be wrong to say that Bigg Boss 11 is one of the most loved shows of all times. The popular reality show has been doing wonders since day one. The Salman Khan hosted show has secured the ninth spot in week 50. The two contestants who are getting maximum love from audience are Hina Khan and Shilpa Shinde. Yeh Rishta Kya Keh Lata Hai is one of those shows which has managed to do well even after so many years. The popular Star Plus daily soap has secured the eight spot in week 50. Fans can't get enough of the cute chemistry between 'KaIra' and this is the reason the show is doing so well. The romantic drama stars Mohsin Khan and Shivangi Joshi in the roles of Kartik and Naira. Colors' social drama Udaan is one of the most popular shows on the channel. The show which stars Meera Deosthale, Vijayendra Kumeria and Vidhi Pandya is loved by the masses for its engaging storyline and performance of lead actors. Fans love their 'SuKor' and wish to see them united soon. Udaan has taken the seventh spot in week 50. It wouldn't be wrong to say that Shakti -Astitva Ke Ehsaas Ki is one of the best shows on Indian television. Who ever thought that a show based on transgenders will ever air on television. But Rashmi Sharma has managed to effortlessly bring the show and deliver a strong message. The show which stars Rubina Dilaik and Vivian Dsena has claimed the sixth spot in week 50. We simply love Rubina and Vivian as Saumya and Harman. Together they create a beautiful pair, 'HaYa', a jodi adored by millions of fans. Yeh Hai Mohabbatein is one of those show which is not only popular in India but abroad as well. The popular show which stars Karan Patel and Divyanka Tripathi in lead roles has bagged the number five position in week 50. 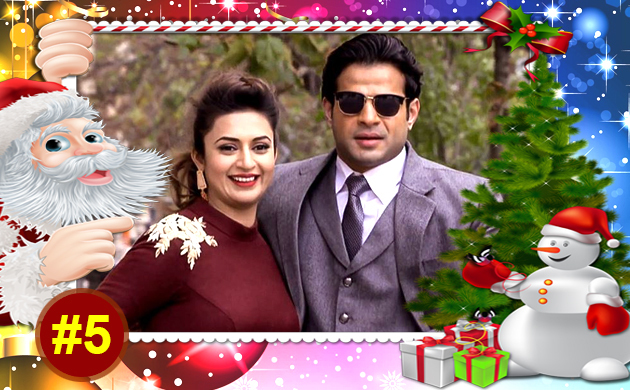 If there's one word which can describe the chemistry of Karan Patel and Divyanka Tripathi, then it has to be magical. Fans call the beautiful on-screen couple as 'IshRa'. Both Divyanka and Karan are known for their power-packed performances and have won several awards. 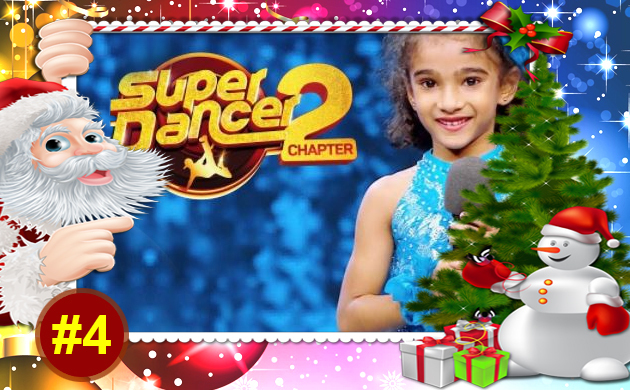 Super Dancer Chapter 2 is one of the best talent shows on Indian television right now. The show which is judged by Bollywood diva Shilpa Shetty, Geeta Kapoor and Anurag Basu has secured the fourth spot in the latest set of ratings. In case, you haven't watched the episodes yet, you need to catch them soon. Old is gold and this is proved by the love Tarak Mehta Ka Ooltah Chashma receives week after the week. The popular sitcom is one of the most watched shows on Indian television. The show has secured the third spot in week 50 on the back of its rib-tickling content. Kumkum Bhagya has been unbeatable at the 9pm slot for the past three and half years. The popular show which stars Sriti Jha and Shabbir Ahluwalia in lead roles has taken the second spot in week 50. When you have powerhpuse like Sriti and Shabbir, you are bound to get maximum viewership. Fans love their very own 'AbhiGya' and their khatta-meetha nok jhok. Remember we told you last week that Kundali Bhagya would bounce back to number spot in week 50. The show which was placed at number two in week 49 has climbed to the number one spot in the latest set of ratings. 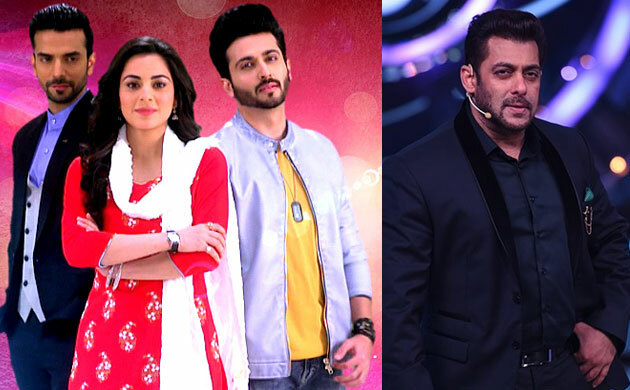 The show which stars Dheeraj Dhoopar and Shraddha Arya is doing quite well since first week of launch. Dheeraj and Shraddha are known for their cute chemistry and are one of the most popular on-screen couples right now. We believe just like KBC 9, Kundali Bhagya will continue to stick to the number one position.